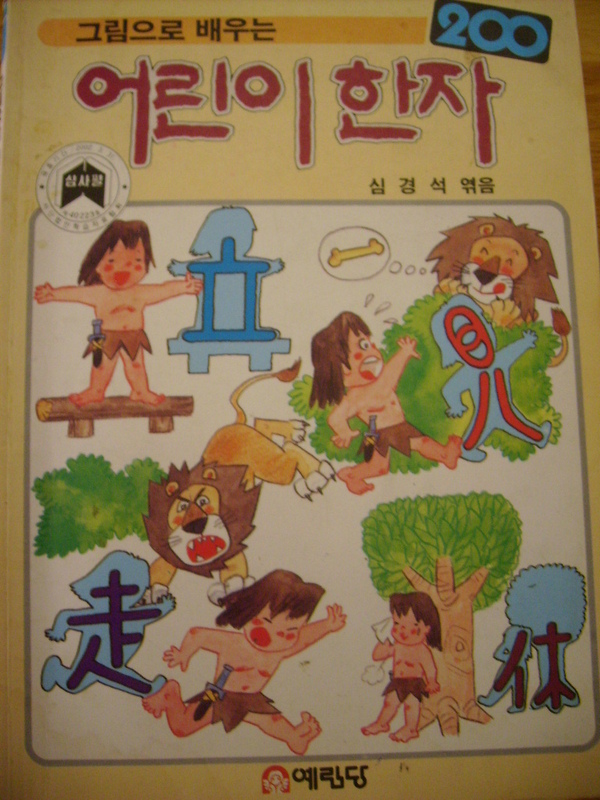 I bought this series of children’s Hanja in 2002 and I’ve been using them on and off for eight years. Currently I’m 20 pages into book 3 and at the earliest I should finish them when I retire. Don’t ask me why! I find scribbling hanja intensely therapeutic. 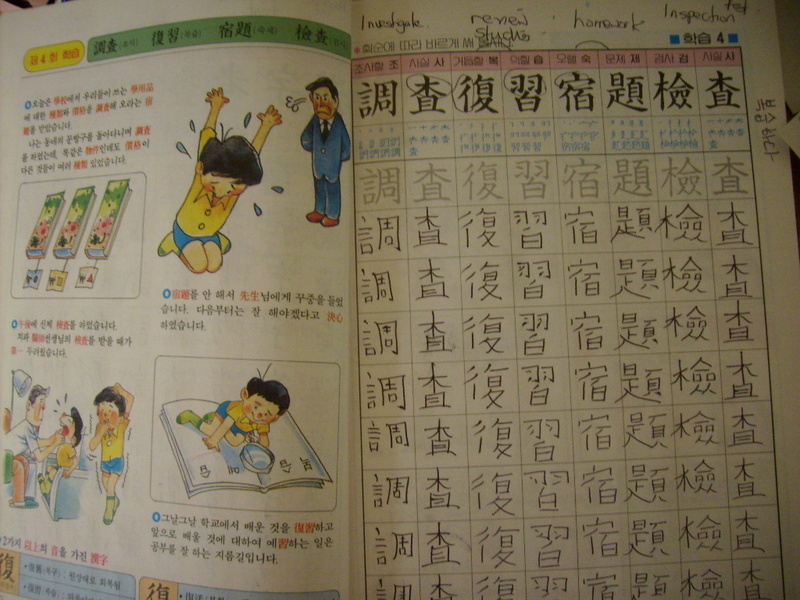 Children's Hanja: Study through Pictures. 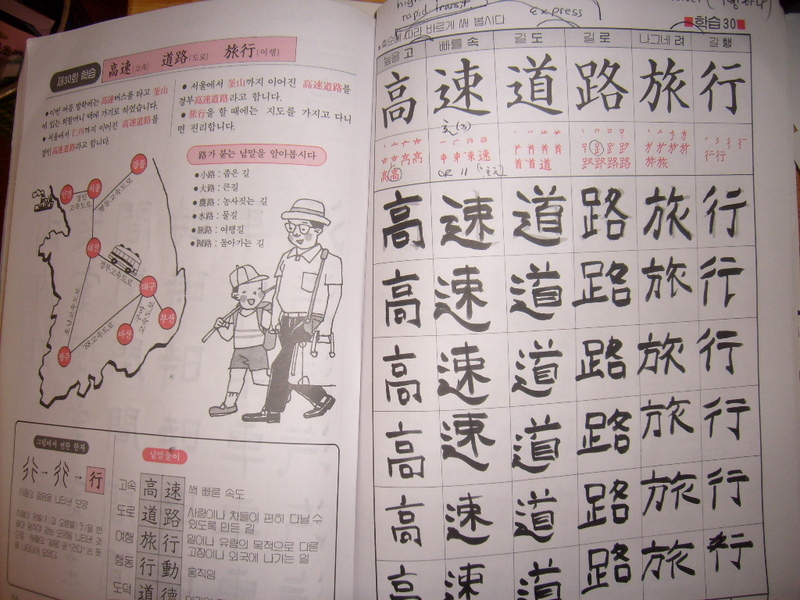 The series will introduce you to around 1000 of the required 1800 main hanja characters. 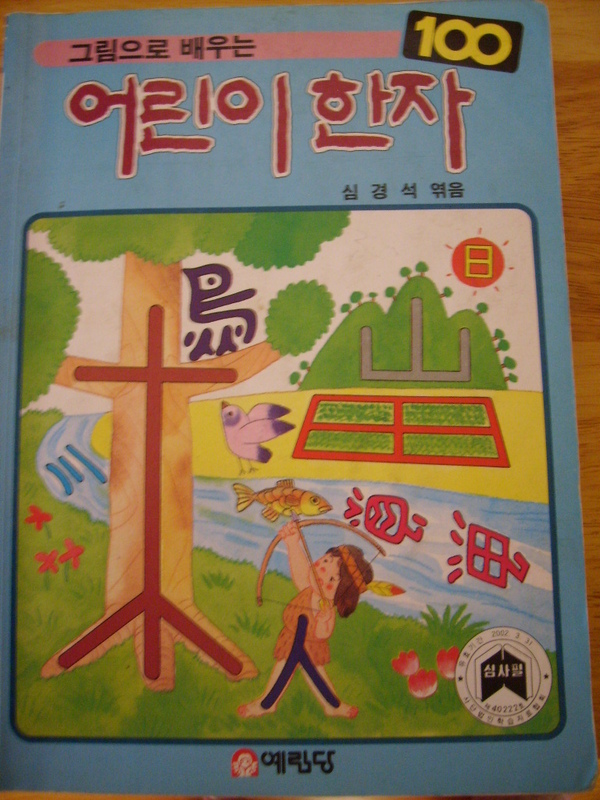 Book 1 is particularly useful and is self explanatory despite being written in Korean. 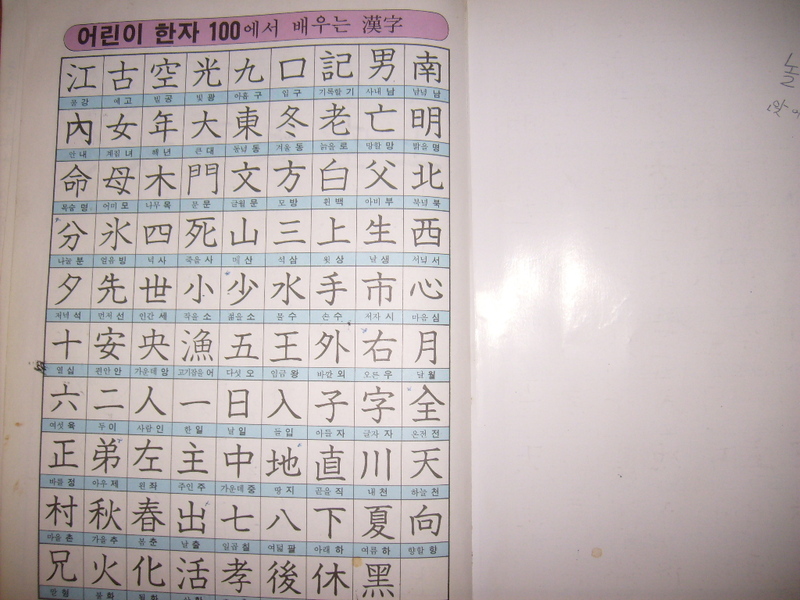 100 basic characters are introduced using between 2 and about 10 strokes. The characters are grouped in themes such as numbers, compass directions, seasons, etc. Characters are introduced individually and in groups of two. EG: 동,방. 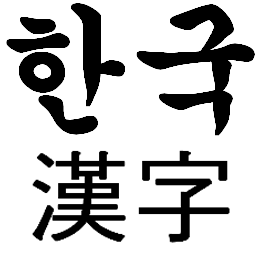 (東, 方), east, direction = 동방 – (東方), eastern. At the back of each book is a listing for all the introduced characters. 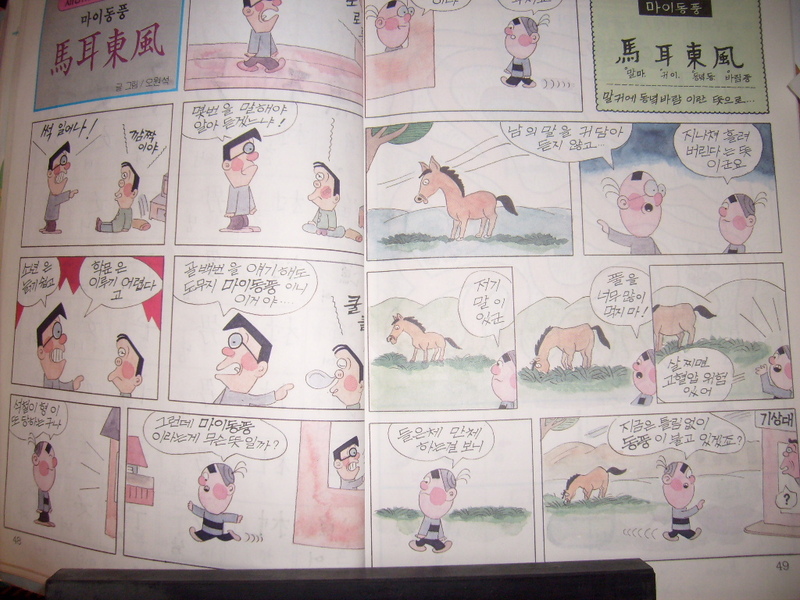 Each book has ample space for practicing the strokes, a relevant cartoon containing many Confucian Idioms plus small explanatory passages. 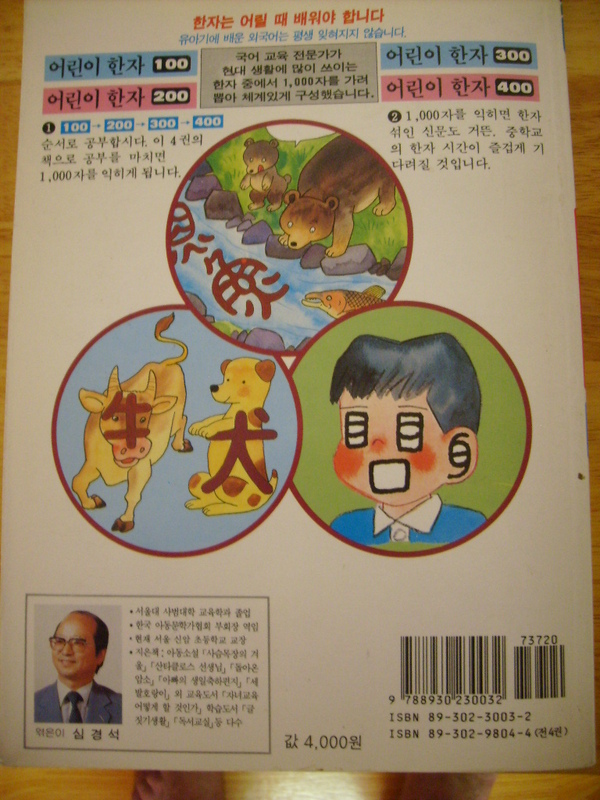 However, unless your Korean is fairly good, you will need a Hanja dictionary to explain the characters. Books 2 gets progressively more difficult as the required strokes increase. Books 3-4 are no more difficult than the latter stages of book 2 the only problem is remembering characters. When I bought these books they were probably one of the most popular middle school supplementary support materials. Once well into book 2 it takes time discovering the meaning of each character as this necessitates using a dictionary, discovering radicals and so forth. Asking Koreans isn’t always helpful as often they are unable to clarify the meaning adequately in English. 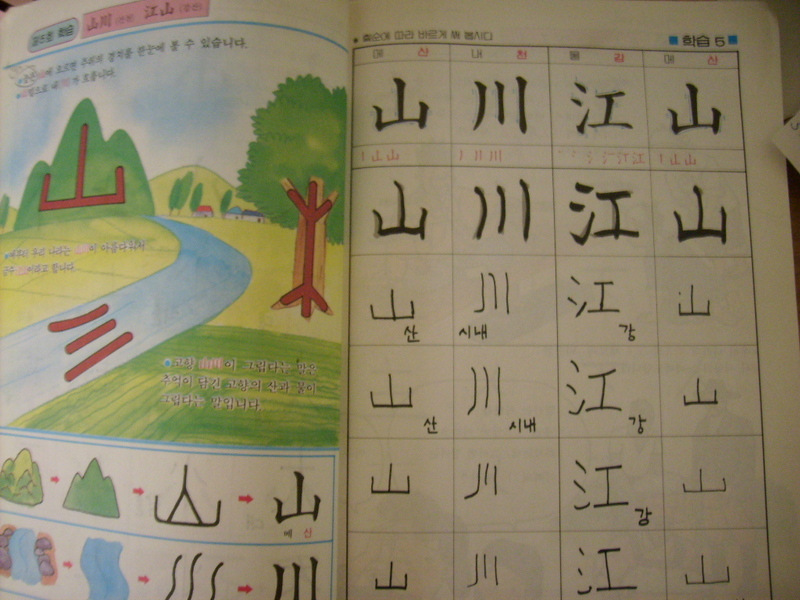 Understanding hanja, unless you’re in a unique position, is an uphill struggle. 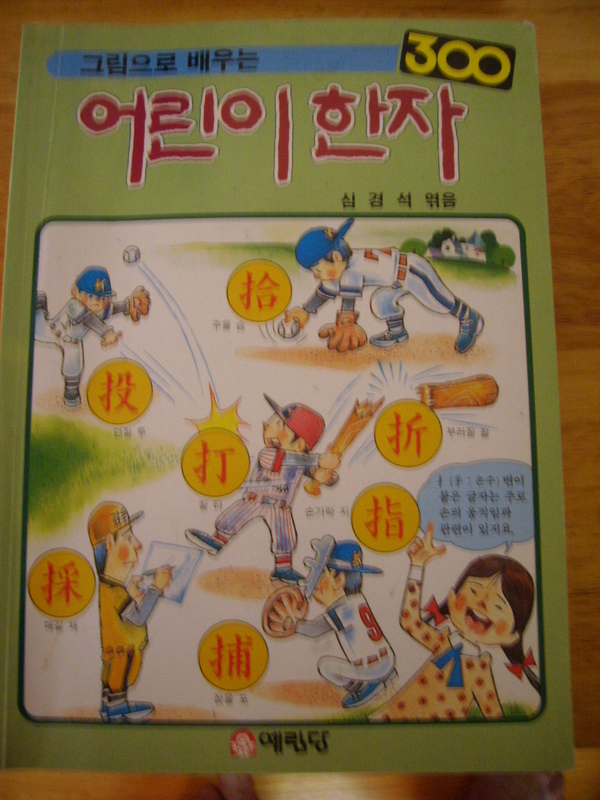 If you’re just wanting to learn some simple, basic hanja, book 1 is excellent.